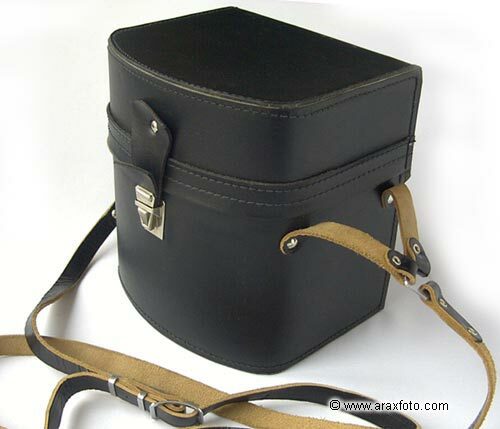 Original factory case for Kiev-60 camera set. New, heavy and strong. Made from thick leatherette, velours and plastik. Strap made from genuine leather. 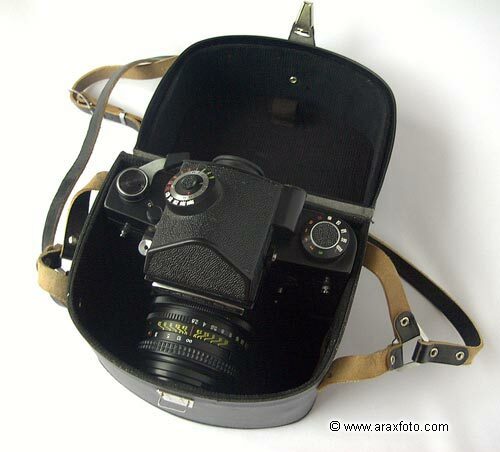 You can use it for KIEV-60, Kiev-6C, ARAX-60 camera with prism and lens, folding waist-level finder, lens hood, Flash Bracket (hot shoe), strap and other small accessories.